We’ve expertly cooked Grade A farm fresh eggs. Then we carefully peeled and pillow-packed them in easy-to-store, ready-to-use 12 packs so they’re ready when you need them – every single time. Serve eggs on their own, as a salad garnish, in sandwiches, use to make devilled eggs or egg salads, or let them inspire you to create your own unique dish. Product must be stored between 1-4°C to maintain shelf life. Always check the Best Before date indicated on the case and on each pack. DO NOT MICROWAVE. Rinse eggs under cold water before serving. For best results, open product approximately 30 minutes before serving. INGREDIENTS: Eggs. | ALLERGENS: Egg. 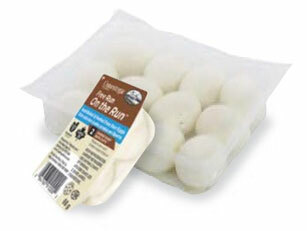 We’ve expertly cooked cage free Grade A farm fresh eggs. Then we carefully peeled and pillow-packed them in easy-to-store, ready-to-use 12 packs so they’re ready when you need them – every single time. 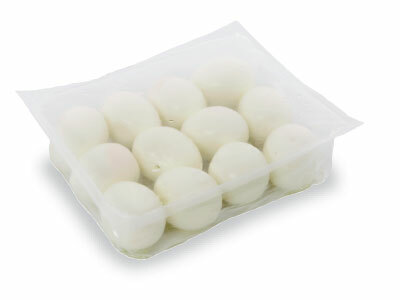 12 pack: Rinse eggs under cold water before serving. For best results, open product approximately 30 minutes before serving. 2 pack: grab ‘n’ go – no prep required. when you don’t have to? We cooked farm fresh eggs, then peeled and diced them to get the perfect blend of hard cooked yolk and white – every single time. 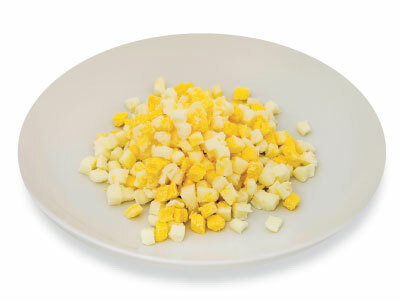 Dress diced eggs up to make delicious egg salads, add them to fresh garden salads or let them inspire you to create your own unique dish. Thaw in refrigerator at 4°C (39°F) for at least 8 hours. INGREDIENTS: Egg whites, egg yolks, xanthan gum, citric acid.